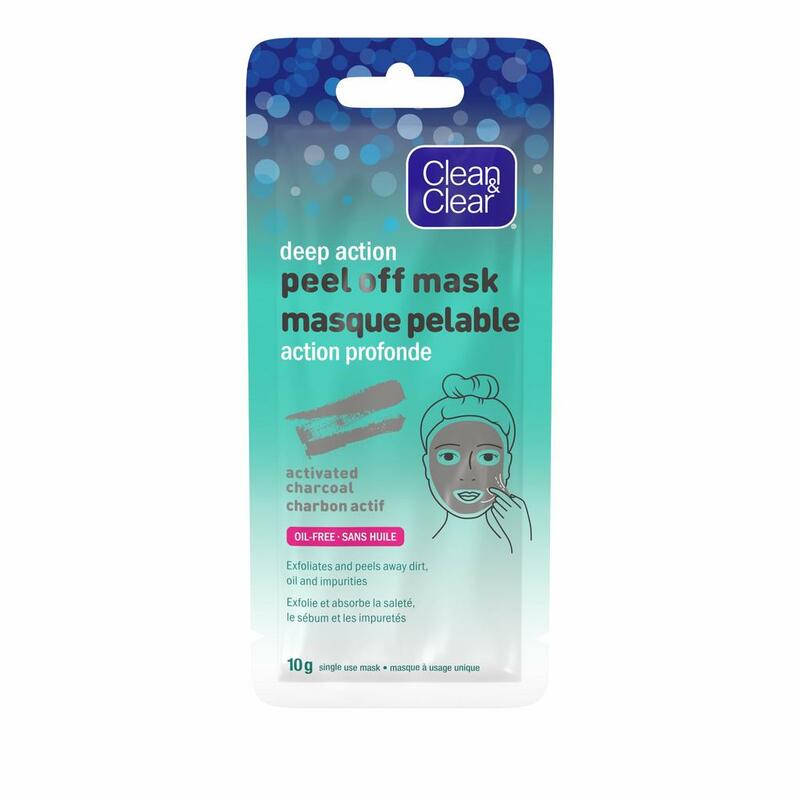 CLEAN & CLEAR® Deep Action Peel Off Mask with activated charcoal peels away pore-clogging dirt, oil and impurities. This single-use exfoliating mask clings to dirt and oil as it transforms from a liquid to a semi-solid, then easily pulls off to reveal clean skin. This specially formulated charcoal mask is oil-free and won’t clog pores. Gently peel off from edges and wipe away any excess with a towel or damp cotton ball. Water (eau), Polyvinyl Alcohol, Alcohol Denat., Glycerin, Styrene/Acrylates Copolymer, Polyvinyl Acetate, 1,2-Hexanediol, Phenoxyethanol, Caprylyl Glycol, Cellulose Gum, Parfum, Xanthan Gum, Alcohol, PVP, Disodium EDTA, Lactic Acid, Glycolic Acid, Butylene Glycol, Charcoal Powder, Black 2.